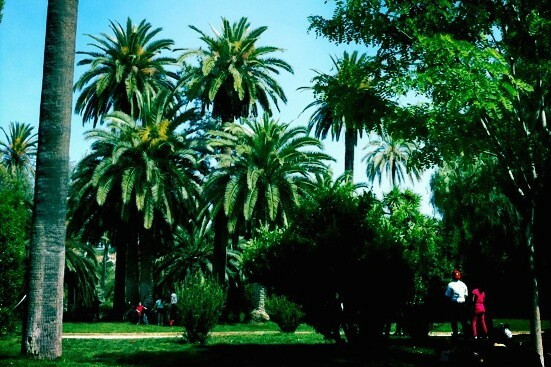 Parque de la Ciudadela (or Parc de la Ciutadella in Catalan) is a 70-acre green space built on the vestiges of the old city fortress from the 18th Century. In preparation for the 1888 Universal Exposition of Barcelona, the city council transformed the whole area, from an old military fortress to the main park of the city, including various buildings and displaying diverse landscape. As you enter from the West side, from the Passeig de Pujades street, this side of the Ciutadella Park is considerably different from its other corners. It is landscaped with wide and straight paths, and aligned on one side with 4 establishments. 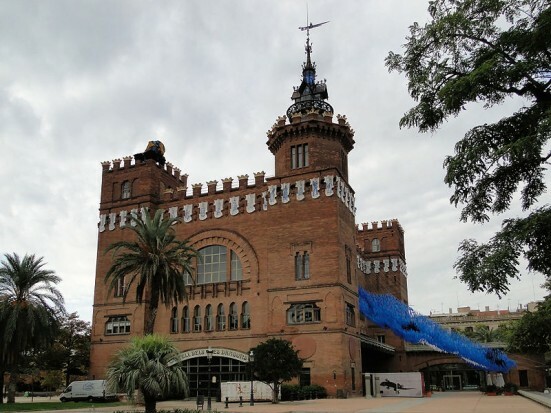 Closest to the entrance is the Castell dels Tres Dragons, the 3-Dragons Castle, which was initially built as a restaurant for the Universal Exposition, but which hosts today the Zoology Museum. Walk along the wide pathway and you’ll see the winter pavilion and a greenhouse, with the Geology Museum in the middle. These buildings make up the Museum of Natural Science, hugely popular among both children and adults. If you decide to turn left from this grand running pathway, you’ll enter an area with narrow walkways and lush Mediterranean trees that take you to the artificial lake and the waterfall plaza. You can take ride in a rowing boat on the lake and enjoy up close the ducks, geese and turtles that hang around, making it a calming oasis far, far away from the city hustle and bustle. Strolling towards the waterfall area, you’ll reach a wide sunny square almost often filled with children playing, dogs running and tourists taking photos. 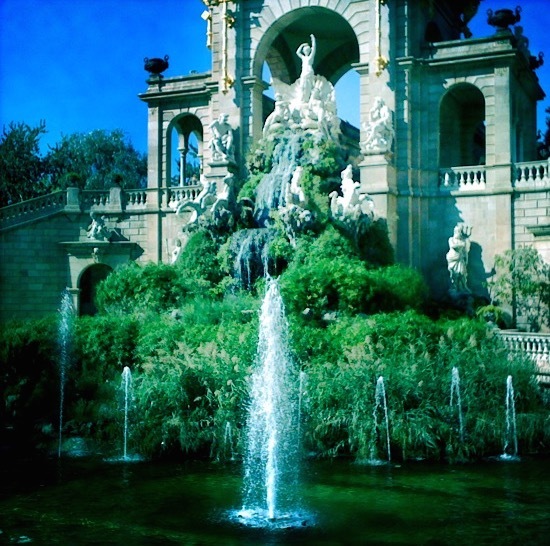 The fountain was built by the architect Josep Fontsére with the help of the young architecture student, Antoni Gaudí. Fontsére wanted it to look like Rome’s Fontana di Trevi, but given that the space in Barcelona’s park is about three times bigger, the entire waterfall structure is much more impressive than the Italian inspiration. The staircase taking you up on top of the waterfall resembles the pincers of a crab, a reminder that Gaudí sought to integrate the natural world in all his constructions, even as a young apprentice. If you think by now you got most of what the park can offer, check this: on the Eastern side there are tucked, in the same corner, both the city’s Zoo and the Parliament of Catalonia. A rather strange mix, if you ask me. 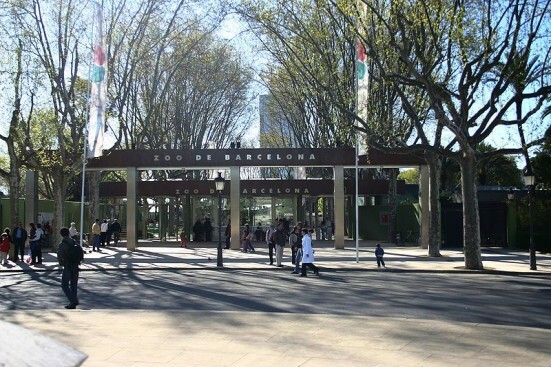 Barcelona’s Zoo is more than 120 years old and hosts about 4,000 animals, making it the park with one of the largest collections of animals in Europe. The Parliament of Catalonia occupies the former military arsenal building inside the Ciutadella park. It is an elegant pink residence built in the French classical style, with a modernist style interior inspired from the Opera Garnier in Paris, boasting intricate ornamental elements. 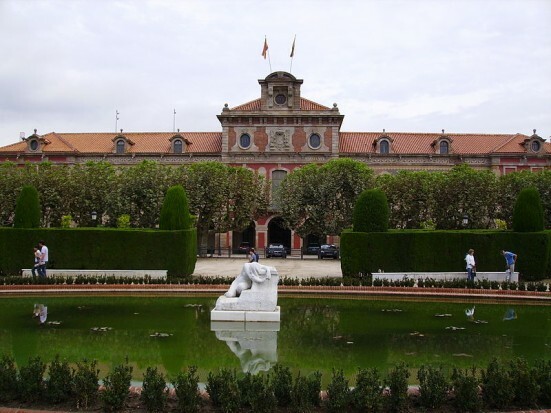 In front of the Parliament you can take a walk in the landscaped French-looking park, with its central lake and the Desconsuelo sculpture, by Josep Llimona, the best sculptor of the Catalan modernism.